The groom and groomsmen during a wedding day typically I usually have no more then an hour to capture it all. 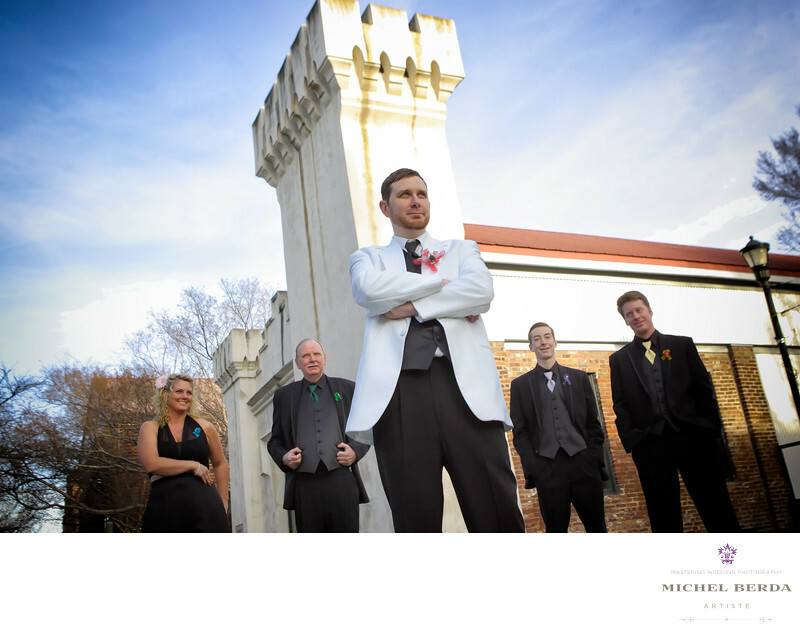 Knowing how to capture those images, and posing the groomsmen properly at times can be very difficult, for me it comes naturally, and on this day at the beautiful venue the William Aiken House, here in Charleston South Carolina, on Ann Street on one side of the house directly in the back of it lies the children museum, a very historic castle building that to me is so unique and different.I love this amazing backdrop, I posed the groom in the front and and asked the groomsmen in the back to give me there most serious pose, well as you can see they are all different. I made sure to expose for the sky and this image is so vibrant, the castle top and the dip rich blue sky, and the white clouds. I love this image clearly represent our beautiful City of Charleston South Carolina.Keywords: Charleston (1179), Destination Wedding Photographer (117), sc (309), Wedding (90), Wedding in Charleston Sc (9), Wedding photographer In Charleston (27), Wedding Photographers (198), Wedding Photography (123), Weddings (168), William Aiken House (15), William Aiken House Charleston (9), William Aiken House Charleston SC (9), William Aiken House Wedding Photographer (9), William Aiken House Weddings (9).